Remember the theme song? "Here's the story, of a lovely lady, who was bringing up three very lovely girls." 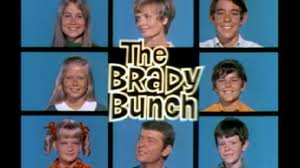 The Brady Bunch was a wildly popular TV show from1969 to 1974. Every week, we'd gather around the television to see what the happy clan was up to and watch as they magically solved any squabbles and remained just "one big happy family." 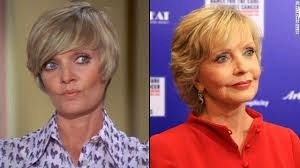 Carol Brady was the perfect step-mom. Endlessly patient, caring and sensitive, she managed to run a pretty chaotic household and make it all look easy. Of course she had help--Alice! If only every family could have such a devoted housekeeper. And then there was Mike, the dad. The perfect father in so many ways, a guy who never lost his temper and always had time for the kids. The perfect blended family! But this was television and real life is quite different. When you have biological children, step-children, ex-husbands and ex-wives thrown into the mix, things can get out of control very quickly. You not only have a blended family, you have an "extended" family to deal with. As a psychologist in private practice, I've seen many "blended families" and understand both the joys and challenges they present. Here are a few points to consider. *It's a whole new game plan as everyone adjusts to the "new normal." Few of the old rules apply, new allegiances are formed, kids jockey for position and if you're not careful, your fragile alliance can collapse completely. Best to set some ground rules from the start, and remember, this is a trying time for everyone, both parents and kids. 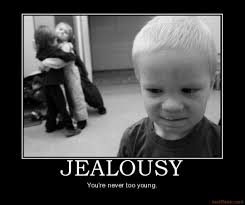 *Jealousies and resentments are bound to occur, it's best to address them immediately. Some changes are inevitable. A young girl who used to have her own bedroom might have to share with a new stepsister, household chores might increase (since most people can't afford full-time help like Alice) and some of the children might have to transfer to a new school district. Any disruption in the system is bound to cause distress and so many changes at once can surely be overwhelming. It helps to acquire the "we're-all-in-this-together mindset," and remember that things will eventually smooth out and a new dynamic will form. * Try to establish new rituals, new family nights, ways to bond. 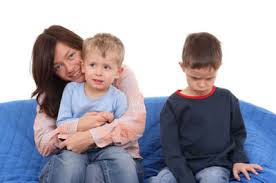 Sometimes the parents forget that even if "their" relationship has grown and evolved over time, the children feel as though this new arrangement has been thrust upon them and they resent it. *Try not to show favoritism. This is perhaps the toughest challenge of all. Each parent wants to make sure that his/her kids get their share. It's helpful to take a step back and look at each child as an individual. Try to learn about them, their special interests, their likes and dislikes, their quirks. And do your best to bond with them. I've come across a wonderful short story that deals with these issues, "Married with Stepchildren," by Tonya Thomas. It's a fictionalized account of one woman's experience with blended families. If you find yourself part of a blended family, try your best to adapt to the situation with humor, grace and empathy. Remember, this is going to be a challenge for everyone and you're not alone. 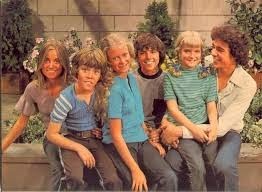 As a kid, when The Brady Bunch was on tv, I was definitely in the minority.. I did not like the show at all. I thought it was clueless and unrealistic. Trying to blend two families has to be a real challenge. We had enough issues in our family, and we were not a blended family - just totally different personality types. I admire people who can adjust to so much change. But you are right that, although we loved watching the happy Bradys, they were definitely not reality. Hi Lynda, yes, it is really a challenge--it gets so complicated. Thanks for stopping by! I think it's doubly hard when strong personalities are involved. Hi Annette, a lot of people found it pretty saccharine. Thanks for stopping by! My daughters liked watching The Brady Bunch. Not me, but it was a show for children more than being a family show, I thought. I watched it with them, sometimes. As you suggested Alice was the saving grace for that family. I still wish I had an Alice counterpart for myself. In fact, more so every year. Hi Nancy, me, too!! I'd have to find an "Alice" who didn't mind cleaning a house with 8 cats, it's pretty daunting! I don't think I would be able to handle this kind of situation. At least I admit it. And in the show, the kids didn't have drug problems, only minor bullying and both parents were sober and healthy. And, the Bradys had money. You have to think twice, three times before getting into a situation like this.... I'm happy I haven't had to. But bless those who make it work!!! Irene, those are excellent points! It seems like the show portrayed a happier, more idyllic time...the divorce rate for couples in "blended" families is almost 70%. It is a tough thing to do. Very interesting post, Mary! Helpful too. 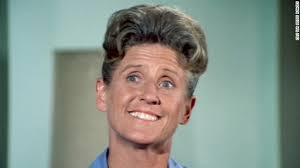 I didn't watch the Brady Bunch much, but I did want an Alice. So much easier with staff.